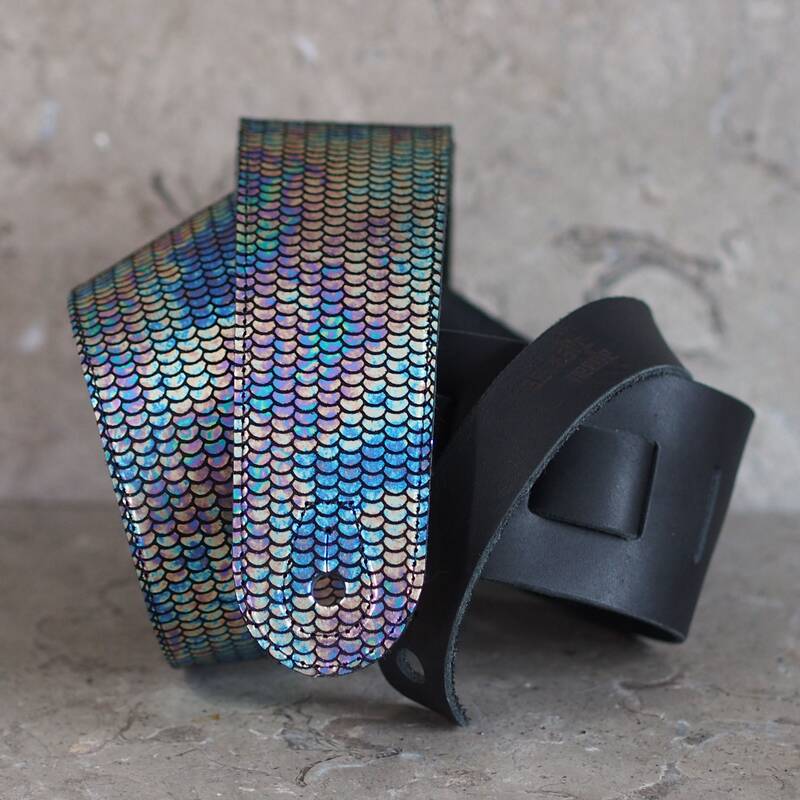 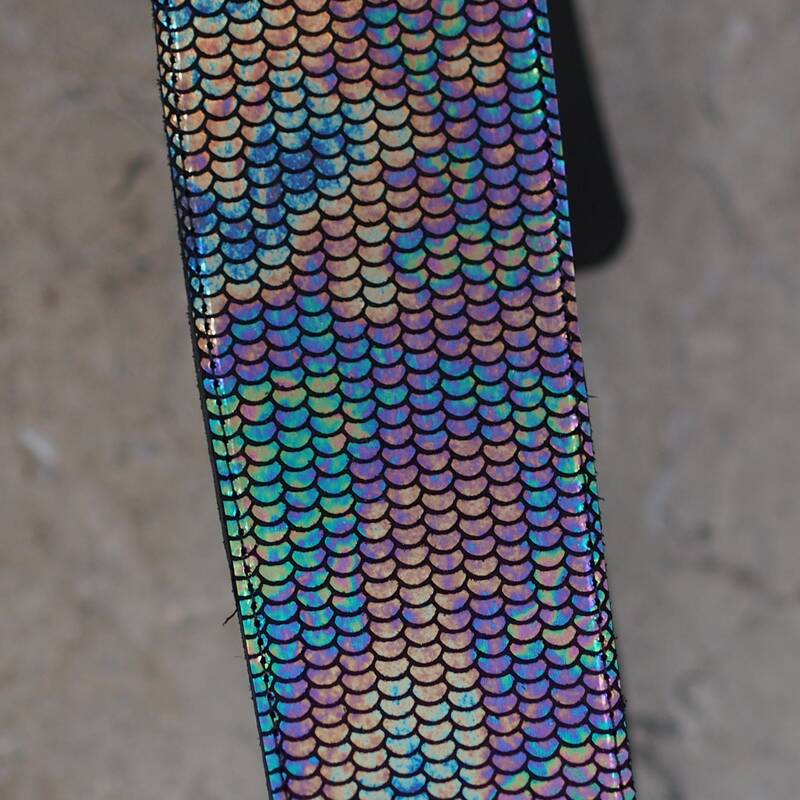 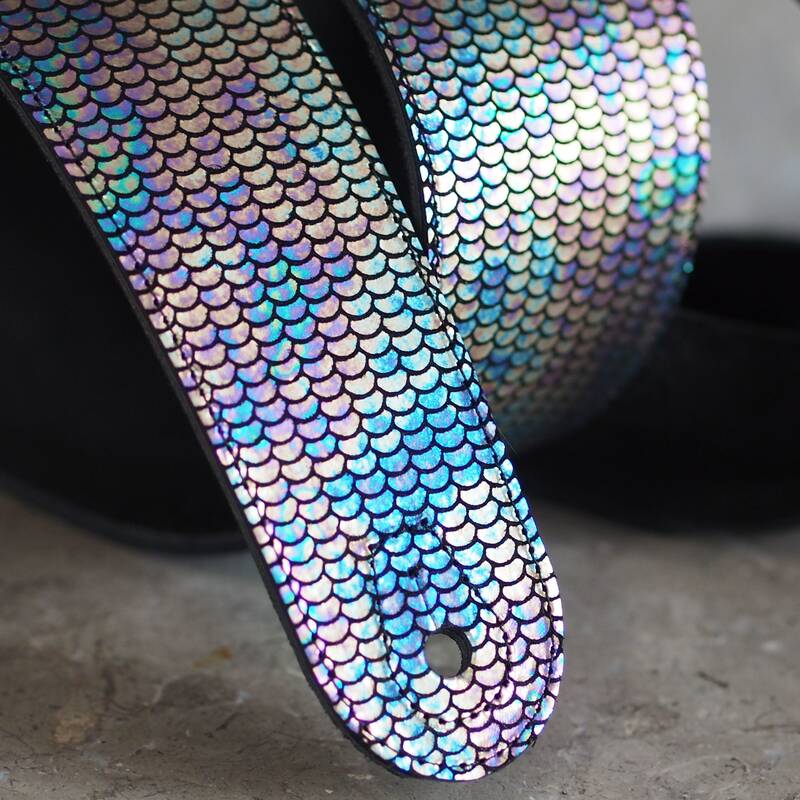 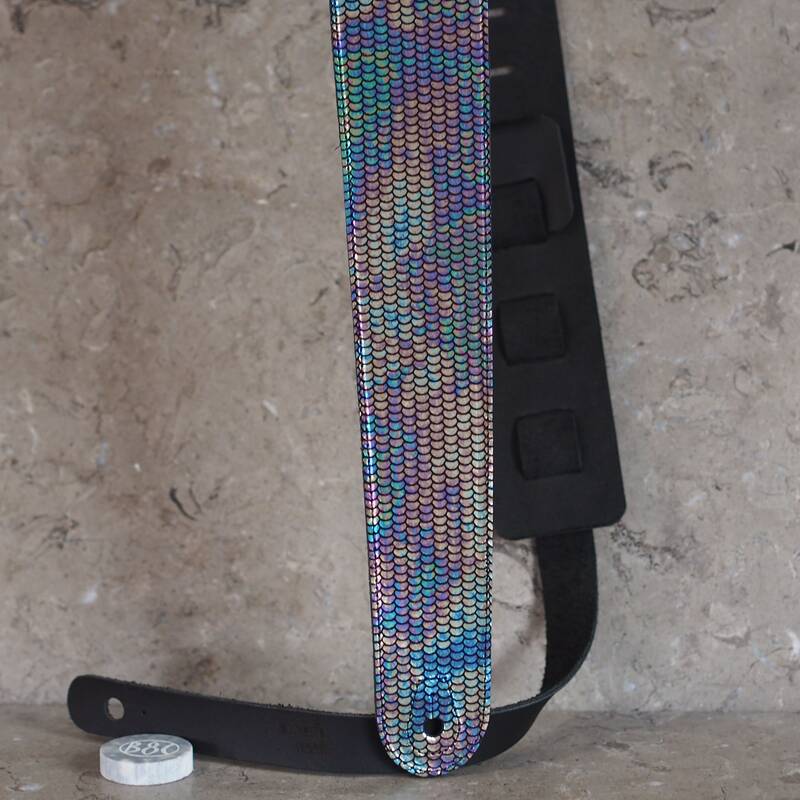 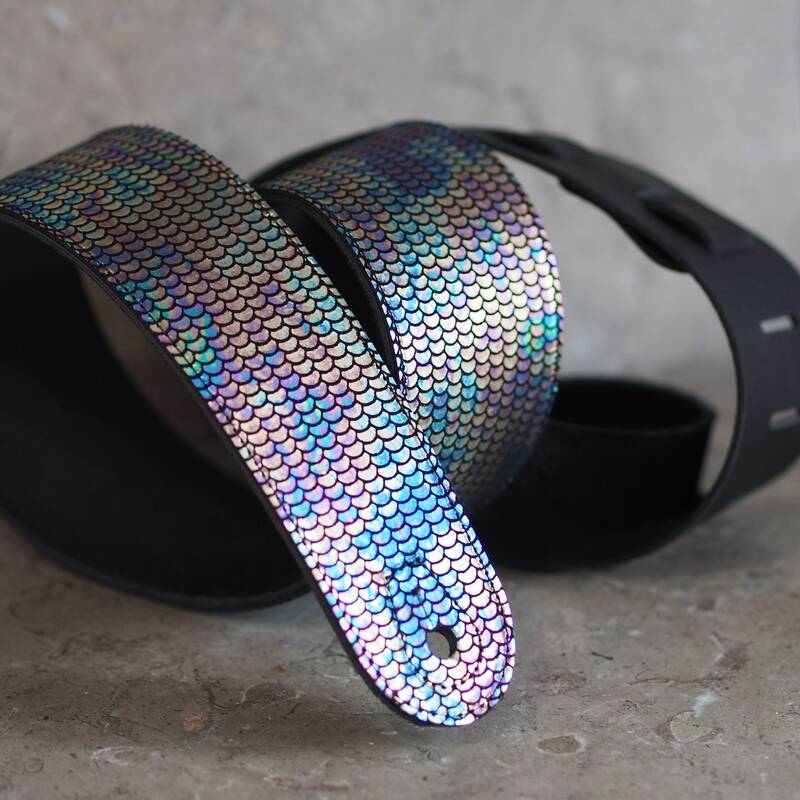 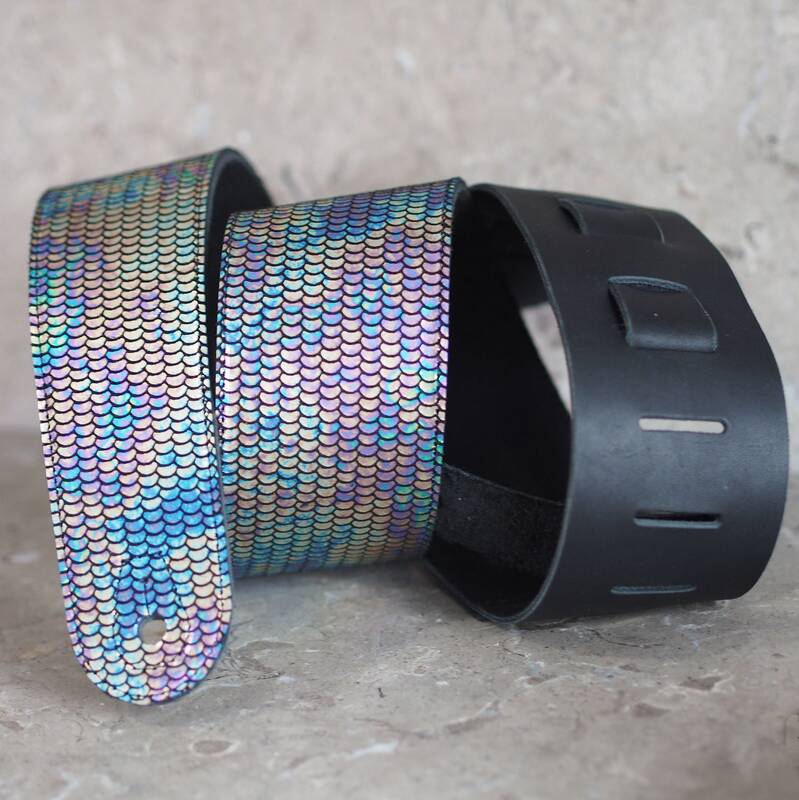 This strap has a unique "oil slick" effect on foil that is etched into a mermaid scales pattern (more regular than snake scale pattern). 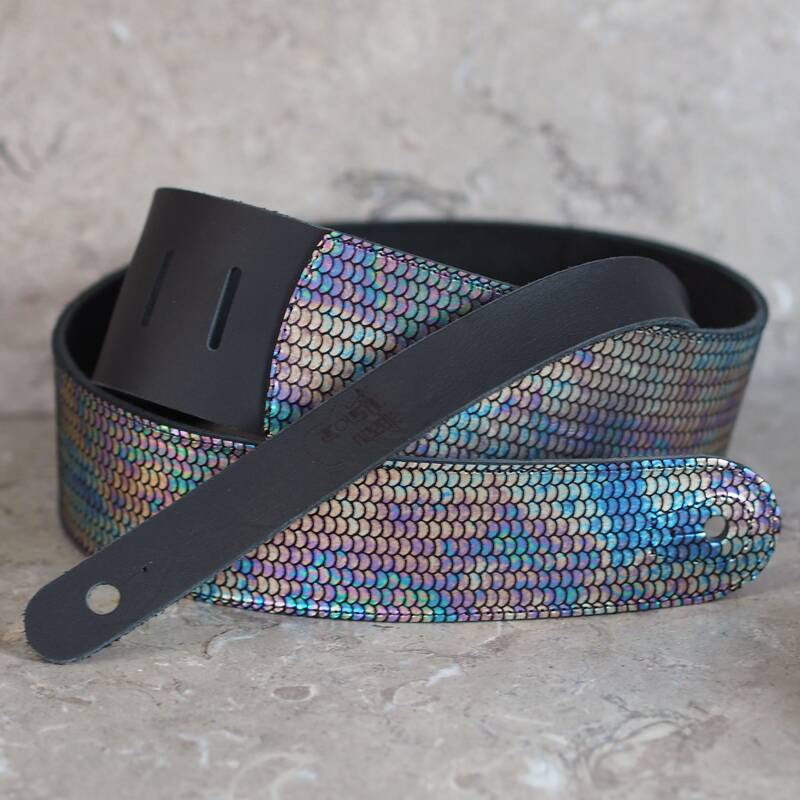 The finish is more matte, and not iridescent or reflective, and the random color variation across the hide doesn't color shift by viewing angle. 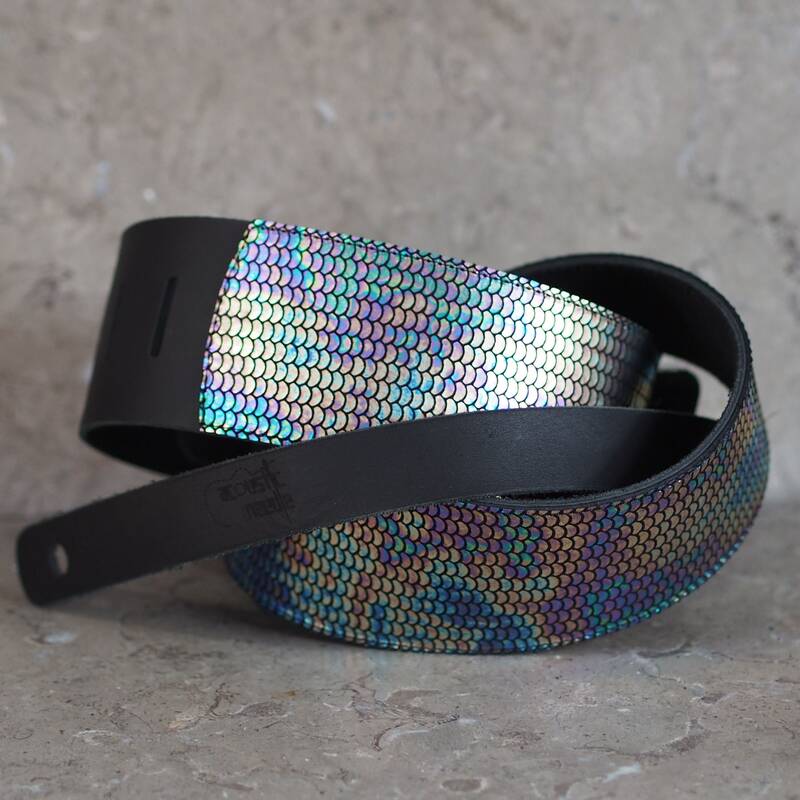 The foil printed thinner cowhide is glued and edge stitched on a smooth black cowhide that is strong and supple, and 5-6oz thick (3/32"). 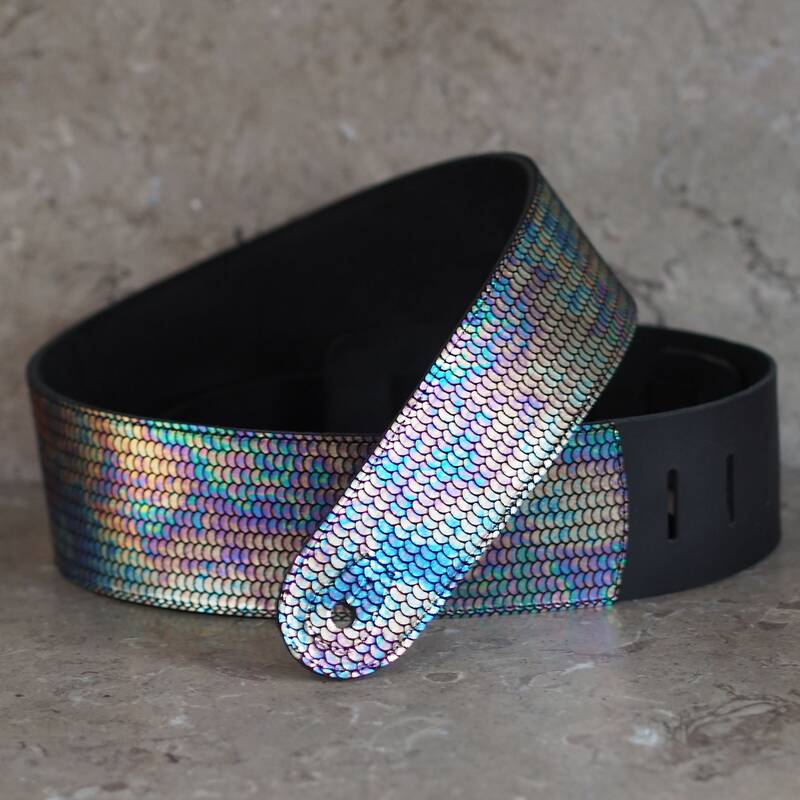 And to cover all the stitching, on the back side I've applied a strip of lambkin, and restitched all around for comfort and a clean look, and protects the diamond stitching from wear. 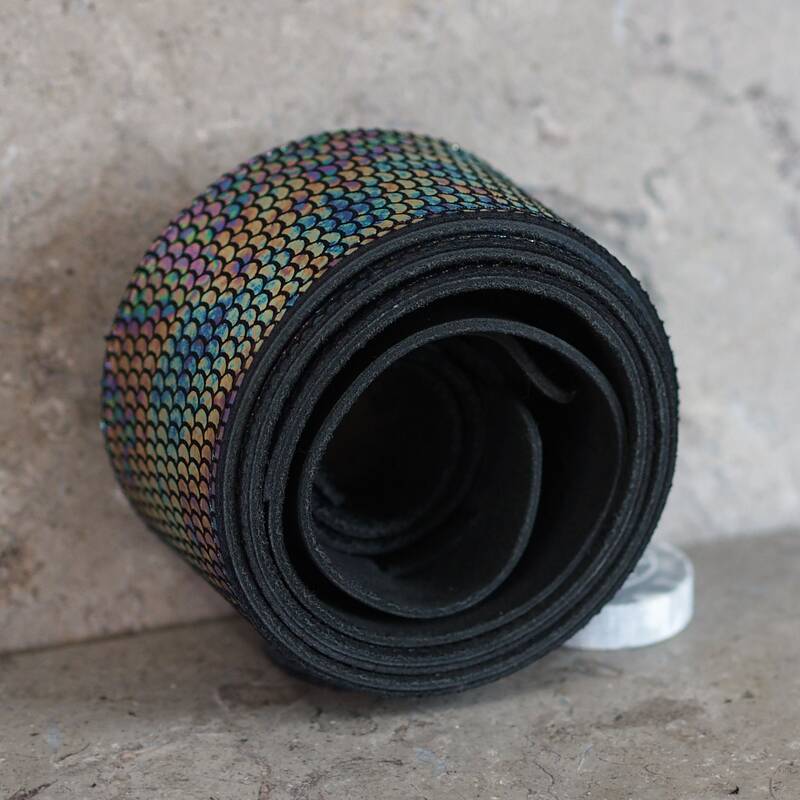 I have also stitched around the front peg hole to ensure the layers don't separate with repeated install/removal from the peg.